WHAT CAN ONE MAN DO AGAINST THE GODS? Beneath the shelter of the Keeper of all things. Pangea is shaken. The past has become the present. Ancient myth has awakened, and legends walk amongst the living. Idris has always known the path of the warrior was his to choose. Now, as war strikes at the heart of Pangea, he must wrestle as a mortal thrust into the wars of immortals. It will take more than his training to face the chaos as darkness strikes deep into the life of his people, and Idris’s own inner demons threaten to destroy him before the battle even truly begins. Set against an extensive mythological backdrop, Path of The Warrior begins as a coming of age story and quickly explodes into an epic conflict between light and darkness. This first novel in the Pangea trilogy promises to take you beyond this earthly realm and into another where mortals and immortals struggle for the fate of their world. Please contact me if you’re interested in reviewing this novel or interviewing me as the author. 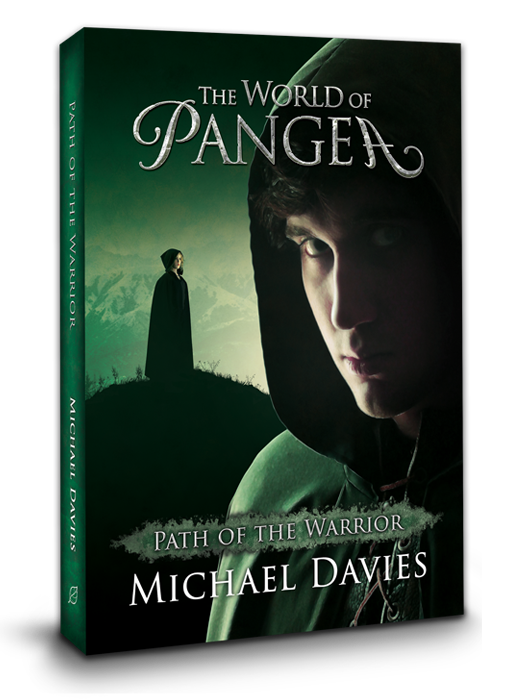 Please visit these links for more articles and excerpts about Pangea. Researching Pangea. A guest appearance at Guild of Dreams.